Over the course of nine albums, at a time when the music industry is undergoing a top-to-bottom transformation, Granger Smith has been building a career that is truly groundbreaking. With sold-out national tours, a social media following of more than three million, and YouTube views nearing 30 million, he has amassed an audience that is unheard-of for a purely independent, unsigned act. He has continually searched for new and innovative ways to connect with his fans and —one by one, room by room — built a national following, culminating when his last album, Dirt Road Driveway, debuted at Number One on the iTunes country chart. Now, with the release of the 4X4 EP, Smith is taking the next step in a voyage that is both visionary and classically old-school. The EP, a preview of a full-length album coming later this year, was introduced with the single “Backroad Song,” which sold over 32,000 downloads in its first week of release and entered the iTunes Country Singles chart at Number Two, the iTunes Canada Country Chart at Number One and the Billboard Country Digital Sales Chart at Number Four. Smith earned the respect of a pro like Rogers the same way he is winning over fans, peers, and the press—with ten years' worth of music that is self-written, self-recorded, self-produced, and independently released. Those recordings have been backed up by relentless, grassroots touring, with Smith working tirelessly, night after night, to bring his songs to a constantly expanding, passionate and dedicated fan base. Not that he claims any of this was his original intention. Without the support of national radio, Smith has found alternate means to reach his fans. His YouTube docu-series, “Yee Yee TV,” gives fans an inside look at life on the road with his band and crew. He even has a regular weekly television segment, "Dip 'Em and Pick 'Em," on Inside College Football on CBS Sports Network. The most dramatic example of Smith’s innovative approach to his career was the creation of his beloved alter ego Earl Dibbles, Jr., first popularized through a simple monologue video, then given songs of his own and more and more attention as his popularity grew. 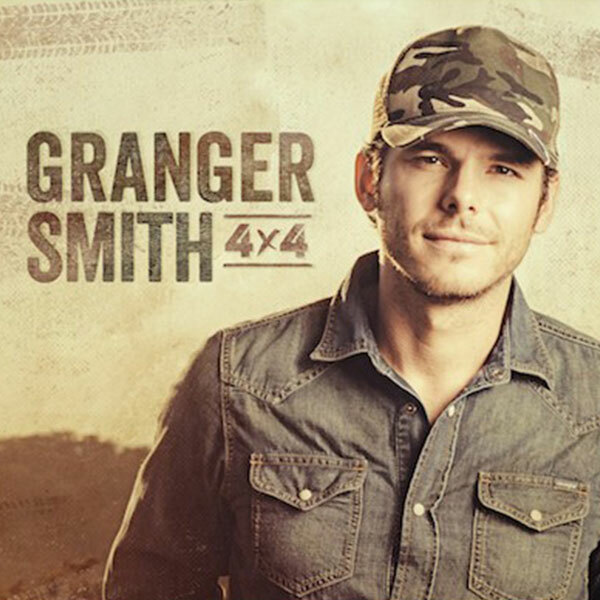 The polar opposite image of the singer (who is actually a graduate of Texas A&M), Earl is given the spotlight on 4X4’s “City Boy Stuck,” but Smith is also aware that he can’t always count on the character’s novelty appeal. As his “Yee Yee Nation Tour” rolls on, breaking attendance and merchandise sales records along the way, Smith sees that this is his time. Breaking rules, defying trends, he is carving his own path, and is ready to catapult forward on his own terms. Granger Smith is playing to win. And as his challenges get bigger, so do his victories.